As Canada’s five major banks announced prime-rate reduction for mortgages, Ontario’s largest credit union stepped up to deliver a cut of its own. Meridian Credit Union announced that it lowered its five-year fixed closed mortgage rate to 2.99 per cent, a move they’re calling the best mortgage rate on the market today comparative to the major five banks. Bill Whyte, chief member services officer for Meridian, expects the competitive rate will help members realize their dreams of obtaining a mortgage while saving thousands in interest, which could help them pay their homes off faster. “Lowering our mortgage rates is just one step in helping our Members feel confident about their financial futures,” explained Whyte in a recent release. 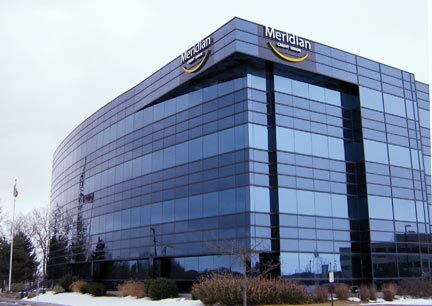 He added that Meridian’s 20/20 repayment program allows members to pay down up to 20 per cent of the original principal balance per year without penalty and can be done at any time during the year. Members can also increase their monthly payment up to 20 per cent of your original payment plan each year. The rate change is yet another variation of the Bank of Canada’s cut a couple weeks ago as RBC Canada, BMO and others set their rate at 2.85 per cent. The Bank of Canada lowered its overnight rate by 25 basis points and the banks have all lowered their prime rates by 15 basis points. It took the banks almost a week after the central bank lowered its overnight rate to slash their own prime rates. “The absence of a full prime cut slows the stimulus into the housing market late in the cycle while the negative impact on Canadian bank profitability is dulled by the fact that it is only a partial move,” Robert Sedran, analyst at CIBC World Markets said in a note to clients, according to the Financial Post, recently. The delay – and the refusal to match the benchmark rate – is viewed by some as a bid to maintain the highest possible profits. Others, however, think it’s a subtle push-back by the banks that were caught off guard by a central bank that unexpectedly slashed its rate – a move that caught many, including most Canadian economists, off guard. “For years it was always if the Bank of Canada drops its rate by a quarter point, you’d see prime drop by a quarter point, but I think it really caught everyone by surprise that they actually dropped it because there was talk for the past year that the rate was going to go up and prime was going to increase,” says Al Roberts of Dominion Lending Centres The Roberts Group. The banks and economists got "caught off guard"?!? Give me a break... that is not being caught off guard, how about the home owners in the early 80's who went from 5%ish to double digit rates overnight... THAT is being caught off guard. Hey Gary, you realize that's a 5-year FIXED rate that's being offered, right?? For comparison, I see CIBC currently offers that same term at 4.79%. Sounds like a deal to me!